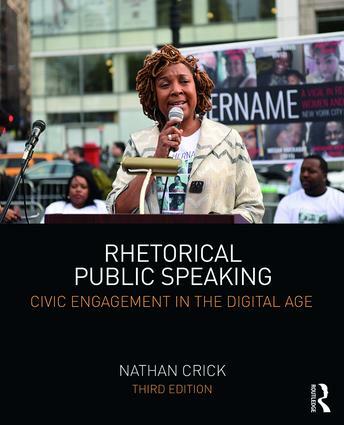 Rhetorical Public Speaking: Civic Engagement in the Digital Age, Third Edition offers students an innovative approach to public speaking by employing the rhetorical canon as a means of constructing artful speech in a multi-mediated environment. It provides a foundation to guide students in understanding, constructing, and delivering messages that address matters of public concern. This edition features contemporary as well as historical examples to highlight key concepts and show how rhetoric works in practice. Each chapter includes speech excerpts, summaries, and exercises for review and retention. Students of public speaking are encouraged to employ their new skills as engaged citizens of society.